Hello Beautiful and Welcome! Wow Beauty is your beauty and wellbeing destination for expert knowledge and expertise. You’ll learn anything you need to know about beauty…YOUR beauty, whoever you are…whether you’re interested in the latest makeup trends and how you can wear them or the most effective treatments for positive ageing you’ll find informative, insightful reviews and honest professional opinions which will inspire and motivate you experiment with new products & services. I want to empower you to be your best YOU. I believe that beauty is for everyone, and wowbeauty is here to help you to #ownyourbeauty. WOW beauty is inclusive, diverse, fearless, ageless and confident! At WOW beauty, we know that beauty begins on the inside, but we also know that looking your best you on the outside is important too, and this applies to all of us regardless of ethnicity or age! After all how can you conquer the world if you’re not coming from a place of inner strength and wellness? I have been an international makeup artist for over 15 years and I am as mad about beauty now as I was when I started. I can’t help myself, I love beauty and makeup products – I just love the power of makeup to enhance, to transform, to empower …it’s wonderful to see someone’s confidence grow simply because they feel good about how they look. Almost every woman that I speak to expresses feeling confused about which are the best products to use for her needs, because there is so much choice! Of course choice wonderful, because it means that there is something for everyone. As a makeup artist I get to try a lot of products firsthand, which means that as a consumer my choices are made easier: what I will offer you is my perspective on products and treatments as professional and as a consumer…I’ll tell you what I think you’ll probably love about a product as well as what you might not. More than that, WOW BEAUTY aims to inspire you, to motivate you, to celebrate YOU! I started WOW BEAUTY because I believe that beauty and well being are for womankind, regardless of ethnicity, culture or age. For me beauty is global and diverse and it feels like the time is right for me to share my passion with you the ‘Women Of the World’. What you’ll get are my opinions on products based on my experience: the other thing is that I’ll only write about products that I can use ….so for example if a foundation doesn’t come in a shade for my skin…I won’t write about it because WOWbeauty is global. Wow Beauty is an e-zine and has a host of reputable contributors to the website to give valuable insight and expert opinions and advice. We’d like to give a shout out to those who regularly share their knowledge and expertise with us! Sonia supports women to get unstuck, jumpstart their lives and get their sassy back so that they can live the life of their desires. 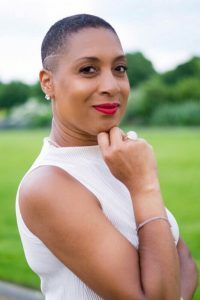 Passionate about supporting women to live their best lives, Sonia is often invited to speak and contribute on a number of radio shows, speaking platforms and articles. She offers life coaching tools, wellbeing tips and inspiration on her lifestyle blog and social media channels. Nana @TriedTestedLoved has a true passion for beauty. An expert in all aspects of perfume and fragrance, she is also a qualified Aromatherapist, specialising in skin health and skin analysis. She believes in a whole body approach to beauty and wellness and loves discovering new products. 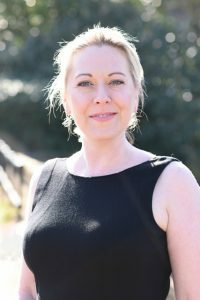 She is a member of the IFA (International Federation of Aromatherapists) and writes articles for magazines on essential oils. As a survivor of 10 years of child abuse, Lisa focuses on empowering women to find their personal purpose, to build the life they deserve. Her focus is on teaching the power of understanding our core self-beliefs, causing lasting transformation.